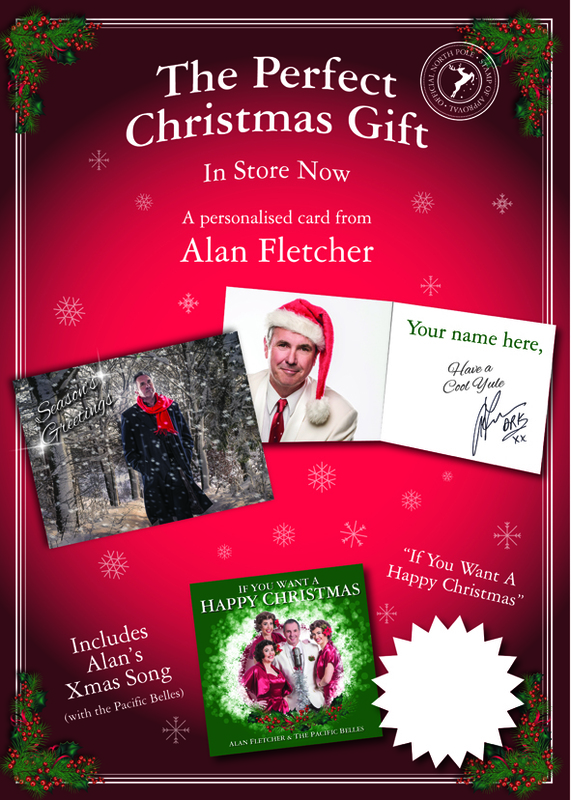 Get your copies of Alan’s various albums, singles and merchandise right here from AlanFletcher.net! Not yet a Subscriber? Click here to receive discount code and lots of other benefits! PLEASE NOTE: ORDERS RECEIVED AFTER 4PM ON DECEMBER 12, 2018 CANNOT BE GUARANTEED DELIVERY TO DESTINATIONS OUTSIDE AUSTRALIA BEFORE XMAS DAY. Enter Coupon Code for discount in the checkout. Please email me at link below to nominate who the card should be personalised to and pass on any special instructions. Alan will personalise your CD’s if you wish. Please leave instructions for autographs in the PayPal checkout when prompted. Preview of music tracks available on ITunes or here.